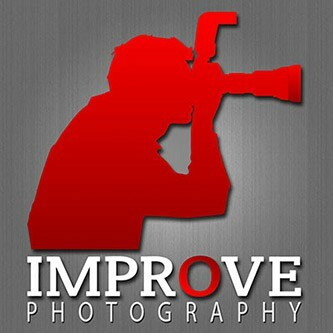 Welcome to the Improve Photography Roundtable, a weekly photography podcast hosted by Jim Harmer and joined by the hosts of all the Improve Photography Network Shows. Each week, the hosts get together and share photography tips and tricks from all genres of photography and all skill levels. Improve Photography is one of the most-downloaded photography podcasts on the web. If you came to this page looking for the doodads of the week, you can find them here. 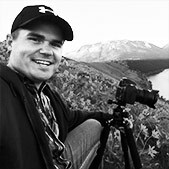 Jim Harmer is the founded Improve Photography.com in 2011 and it has grown to one of the largest photography sites on the internet. He quit working as an attorney to follow his dream of building Improve Photography and now hosts the weekly Improve Photography Podcast, runs a Youtube channel, and holds completely free photography workshops all around the world to thank the readers of the site for their support. He has authored multiple books, presentations, and video courses. His works have been published in many of the largest traditional and online publications. He lives in Caldwell, Idaho with his wife and two boys. Read more about Jim here. I would love to receive these podcasts. They look so very interesting! Thank you! Hey, folks, where are the links to just the show notes? I can’t seem to access them directly from my computer (but I can from iTunes). In one article you stated having a 400 mm lens on a crop sensor camera sensor camera the 400mm lens acts like a 640mm lens, can you explain that? Please. I know that it’s been a while since you asked this comment but a crop sensor camera adds a crop factor you need to take into account. An ASP-C sized sensor provides a 1.6x crop which means you need to take you lens’ focal length and multiply it by the crop factor. The number you get after that bit of math is effectively what the lens would be if you were using a full frame camera. Thus a 400MM lens on a ASP-C size sensor becomes a 640MM lens in comparison. Not sure how you can’t see the benefits to using Lightroom and Photoshop (or any application) on a Mac vs WINDOWS PC!! The multi touch gestures on the magic pad (hot corners being huge) along with a much smoother OS makes ANY app better on a Mac. I know Jim doesn’t use a Wacom tablet (not sure how you can go this far without one – I’m new and it’s totally amazing and does things you just can’t do with a mouse) or the magic pad so maybe he’s just stuck in the old mouse era. The Apple mouse is good but very limiting. Hi Jim n’ crew! Just wanted to offer up a big shout-out from Cambridge (UK) for the podcasts, articles, classes, and all the other amazing things you do for us in photo-land. This weekend I participated in a friend’s wedding as the second shooter. It was my first wedding shoot and the first time the lead photographer had a second shooter! So, having your 68 tips for wedding photographers as a guide was HUGELY helpful! I also put Animoto to the test based on your recommendations. MAJOR success! A handful of shots of the ceremony and a video clip was running during the pre-reception gathering. As only a handful of the groom’s family could cross the pond from the States, having the video so readily available allowed folks back home to get a real (and immediate) sense of the wonderful ceremony. I realize these podcasts and articles take a lot of time and money. I know I am a better photographer (but still learning) having listened in and taken your classes. Thanks again! I was intrigued by Jim’s interest in the Fuji system and the discussion of mirrorless vs. full frame DSLR. I don’t think it is totally legit to compare different sensor sizes as equivalent options. Specifically, the XT1 bottoms out at ISO 200. That is very different from D810 200 and very very different from D810 ISO 64. In terms of noise and dynamic range it is as though you could never get your D810 or D750 to shoot lower than ISO 400. The next issue is earlier diffraction limiting, meaning you won’t want to shoot above f/14. For landscape there are so many times that you want to easily go for longer shutter speeds, and you won’t be able to based on a less favorable low ISO and aperture limit. If weight is an argument, it is partly artificial, because you need to convert the equivalent aperture when comparing different sensor sizes. For example, and f/2.8 APSC lens is going to behave like an f/4 full frame lens at the same field of view. If you bought slower glass for your Nikon Fx, it would weigh less. This next bit is a technical question. When you stop down a mirrorless system like the XT1 or a M43 camera, what happens when the camera tries to focus? Is it forced to focus at the dialed aperture? If so, can a system like this ever focus as well as one that keeps the aperture wide open for focusing? Lots of good points, Adam. It’s difficult to make a perfect spec-to-spec comparison. But I disagree about weight. The Fuji XT1 is half the weight of the D810 (my previous camera). Also, if you get the f/4 of all the Nikon lenses and compare them to the equivalent Fuji, you still see a big drop in weight. For example, the Nikon 16-35mm f/4 weighs twice what the Fuji 10-24mm f/2.8 weighs. The aperture snaps in as the photo is taken, so dialing it down doesn’t stop AF. In terms of pure image quality, the Nikon D810 kills the Fuji XT1. So side-by-side you’ll get a better photo with the D810. But I kept missing photos on my Nikon because I didn’t bring it with me because it’s so big and bulky. And I kept missing shots because I didn’t bring all my lenses with me. And I kept missing opportunities to share my photos because it doesn’t have wifi. Etc. Etc. Thanks Jim. Sounds like I need 2 of them then. For me it is something you could probably relate to. I love my D810 and I love backpacking. The opportunity cost of getting way out into the backcountry is huge. Not nearly as many people have put their tripod up in the same spot. Presently my camera gear adds about 7# to my pack. Is there truly a better option today. I’m just not sure, but it is fun to watch things change! @Adam – Totally understand. I have always been willing to pay the pain price and carry the heavy gear. The only thing that tipped the scales for me here is that I felt I was missing too many shots by not bringing all the camera at all, or not bringing a full kit with me on shoots. Nothing compares with the image quality of a D810 as far as I’m concerned, but I just couldn’t stand the weight. Where can I find that Nikon 85mm 1.8 for $350??? I would love to here your choices and reviews when it comes to Speedlites and prime lenses (third party) for Fujifilm (X-T1, X-T10 etc). I guess some of Jim Harmer’s prior recommended gear needs to be reviewed all over again after converting to Fujifilm. I recently changed as wall, from Canon 60D to Fujifilm X-T1, and use it mainly for street photography. But, I find portrait photography very interesting as well. That’s why I am now considering a Samyang 12 mm for street photography, Samyang 50 mm for portrait photography, and also a flash set up that could work on and off camera. Thank you for interesting and informative podcasts! Keep the good work. Can you guys try a little harder to balance out the Nikon “fanboy-ism?” Believe it or not, some of us “pros” shoot with Canon gear. Some of use enjoy Sony mirrorless as our “casual gear” –me, I love, love, love the A6000. Can we get a little love for this gear? Yes, the Nikon D810 is nice… but what about the Cannon 5DS-R? Also, I would like to disagree with Jim regarding the iPad Pro + Creative Cloud being included in your workflow. There are some of us who don’t enjoy being tied to our iMacs for hours doing post-processing. And I have incorporated my iPad Pro + Adobe Mobile apps into my workflow, and they get me about 70% there for my casual landscape work in addition to my paid work. Yes, images that need additional tweaking etc., will require me to sit in front of my iMac because the mobile apps are not fully “there.” But it’s really nice being able to sit on the couch to do my “picking” and minor WB and exposure adjustments on my iPad Pro where “flagging/picking” through several thousand images used to take me more than an hour in front of my iMac -now I can just swipe up/down = done. For the record, Nick Page, Darin Mellor, Erica Cay, Jeff Harmon, Brian McGuckin, and Majeed Badizadegan ALL shoot Canon as their primary cameras. So it’s kind of odd to accuse us of treating Canon unfairly. I’m the only I.P. host who doesn’t shoot Canon. You’re more than welcome to disagree with our opinions. That’s to be expected. But I’ve gotta stick up for us on this one. I don’t think we have a Nikon fanboy problem at all. We just happened to pick the D810 is our favorite full frame DSLR of the year. I think the comparison between an X-T1 and D800 is like comparing apples to grapefruits. One is an APS-C sensor camera and the other is full frame. The comparison with respect to weight should be between the Fuji and the D7200. You can carry a D7200 with a 70-200 f4, 16-85 DX and a 10-24 DX (all very good glass) and it will weigh in at 2,560 grams. This is comparable to your Fuji X-T1 and trinity of crop sensor lenses at 2,444 g. Not much savings there. To continue with the comparison, a Fuji 50 f1.2 weighs 405 g while a Nikon 50 f1.8D weighs a mere 270 g (and it also has an aperture ring). A Fuji 23 f1.4 is 300 g and a Nikon 24 f2.8D is 270 g. And both Nikon D lenses are actually full frame. Imagine what small and light weight prime lenses could be made for Nikon DX if Nikon put their mind to it. I think the Fuji system is awesome and I own one (X20) but, please, when doing these comparisons while jumping on the mirrorless bandwagon, particularly for weight reasons, be sure to compare APS-C to APS-C, or apples to apples. Hi, I discover the podcasts a few weeks ago and I would like to listen the older episodes, but most of the apps that I’ve tried only shows the lasts 20 episodes, I only found one that shows all the episodes but is terrible buggy. Can you recommend me an app that has all the episodes available? I’m using Android. Thanks a lot for your help and for doing such a great podcasts! Me too, I discovered this podcast recently. And would like to listen to older episodes. I can see only 15 in itunes etc., Is there a way to get old episodes in podcasts app in iPhone. Hello. Heard your January 27, 2016 podcast. I don’t know if you folks were serious or not, but using the spray fog you talked about in a cavern is unacceptable. It will deposit the olive oil mist on the formations and contaminate them. Leave only footprints! It was a joke. We were joking about how it would be dangerous to spray flammable fuel in an enclosed space. Hey Guys – thanks so much for the podcasts – great fun and a treasure trove of info. In EP-159, you discussed file recovery options. There is a freeware app called Recuva which is quite good and has a wizard that makes it simple enough for non-techies. No need to buy a memory card just to get the file recovery app! I new to the podcasts and loving them, thanks. When using a paint pole, what are the options for, 1.) shutter release control and 2.) what are the methods of framing the shot? Ever thought of adding a humor section, like Click & Clack in car talk? You guys are already funny. Where can I get a trained monkey to frame my shot and push the shutter on my Nikon D610? Another great show guys! Glad you are liking the fujifilm but obvious no system is perfect. Maybe you need to take the fuji out to do a bit of street stuff – I know you are a big fan! The episode has got me super excited about heading to China with guys in a few weeks! Great podcast on Iceland (172). One of my dream destinations to photograph. Love your Iceland podcast. Sounds like something that I would love to do someday. Concerning the non-weatherproofed Fuji lens at the waterfall. Have you heard of the Shell Camera Cover by Peak Design (or something like it)? This might be enough humidity protection to not trigger the error, but I can’t say for sure (as I don’t have one). Where can we go to find some of the fantastic shots that the group took while in China? This is a very helpful and informative podcast! I enjoy listening on my way to and from work. I really have learned a lot. Thank you and keep up the great work.